I was wondering the same thing for something big I’m working on right here at IP. 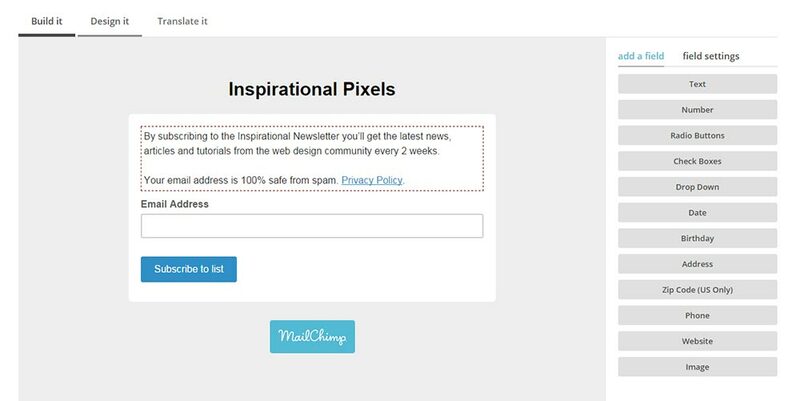 I eventually came up with a simple trick to achieve segmenting by signup source with MailChimp and I’d love to share how. 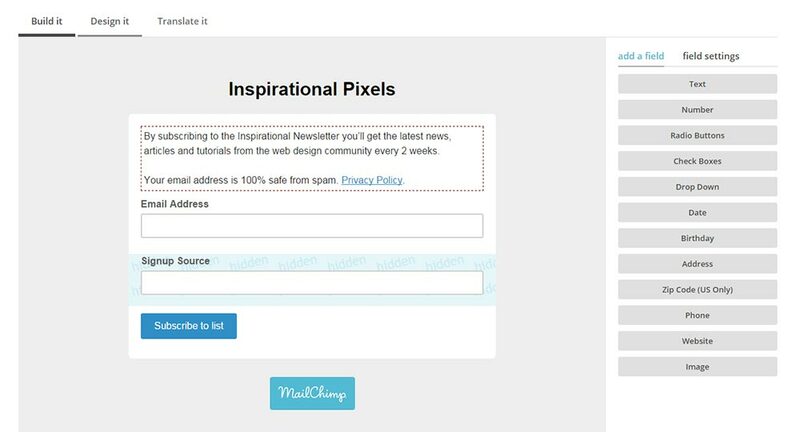 In this short article, I’ll show you how to get the MailChimp signup source of your subscribers. The best part about using MailChimp is that you can have one master list, but segment by different types of users. At first this doesn’t sound very helpful as you have to create the segments yourself, however there is a way to automate the process. All it takes is an extra field on your form and for you to update your current embed code. To get it on your website go to Signup Form -> Embedded Forms and click the Naked tab. Form here grab the embed code and put it where you want on your site. That isn’t it though, to get the new auto segmenting working you’ll need to add the following line of HTML into your form, just above the button. Look carefully at the name and value of this new input field. Hey! That’s the SOURCE tag we added in the form builder! The value specifies where they signed up from, so if you add this form to the about page, you put that, if it’s the homepage sidebar, you put that. You can even have multiple forms on one page but from different signup sources. For example the blog sidebar and at the bottom of the post. From here upload the updated form to your website and you’ll be able to see where they’re signing up from (more on that next). I do advise testing this locally with your own email address before you put it online. To do that, just create a new .html file and add the Naked form code with the extra input field and test away. Now just click Preview Segment and then Save Segment and you’re all done! Note: When you first set up the segment it’ll say 0 subscribers match your segment. This is to be expected because nobody has signed up from your new source yet. If you tested this with your own email address you should see it listed. Segmenting is a powerful thing, especially if you’re dealing with email courses because you don’t want everyone to have access to it, only the people who saw your CTA and signed up from it. 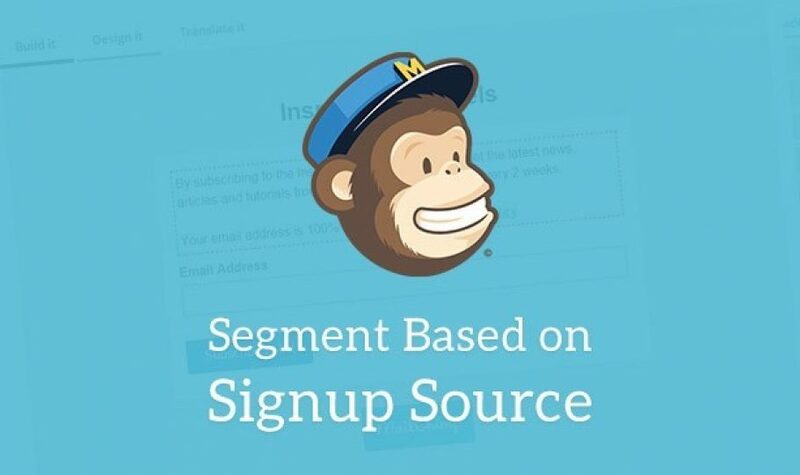 Are you segmenting by signup source with MailChimp (or other software)? Let me know in the comments below! Hi dude, I just want to thank you for this article because it was very helpful for me. I was looking for a long time and realize how its so simple. Appreciate your help! Keep rockin!